Watching the pictures of Pete Sampras and Andre Agassi from their match at the Madison Square Garden last night got me thinking. About rivalries, about the past, about the future, and about the Federer-Nadal rivalry. That’s the one thing that Tennis has that the team sports don’t. That individual rivalry and the dueling it out among yourselves, just yourselves. Yeah, I know, we have Boxing and MMA and the rest of the fighting stuff. This is different. It’s just skill, and it’s not about beating the S&%* out of someone. It’s just beating him. It can take four hours sometimes, when it’s one of those special five setter matches. It can take three days, as Isner and Mahut learned last summer. Still, those personal rivalries, like those between fans of opposing soccer teams, last for a lifetime. Even if the two guys like each other, way into their retirement, watching the two together just brings back so much memories. 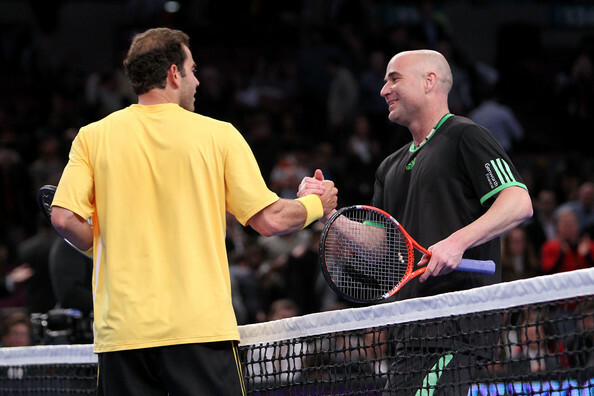 Maybe it’s because I’m a 90’s kid, and first started liking Tennis when these two were dominating, especially Sampras. Nostalgia always makes you feel things were better back then, but I know Federer and Nadal are both better players than Sampras and Agassi. At least I think they are. Maybe I’ll feel that way in 10-15 years when Roger and Rafa play in some exhibition match, when I tell my kid, who hopefully will be into sports as much as I am, that these two giants once ruled the courts, and Nadal had the upper hand on Roger most of the time and who knows, maybe he’ll even catch him on the grand slam chase, if his knees hold up. I’ll tell him the Federer was the better player. Unless Rafa does catch up with him, and then I’ll just say Federer was the more “special of the two”. 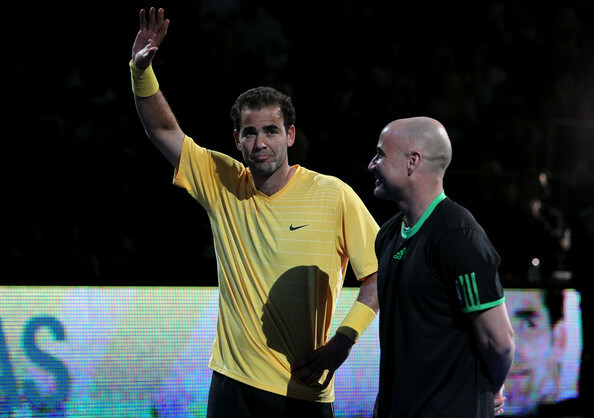 Maybe that’s the better thing about the Sampras – Agassi rivalry. It’s very clear who’s the better player. Maybe Agassi is more interesting than Sampras, but there’s no doubt Pistol Pete was the best of the two.